Welcome to Amerimid Backflow Training Services, Inc. 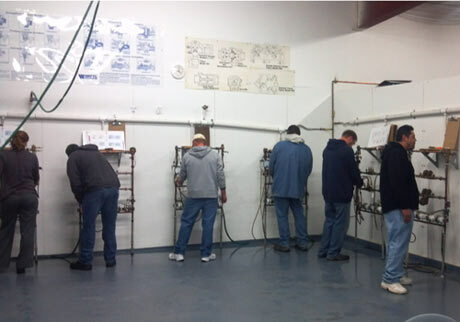 This is the training portion of Backflow Consulting Testing and Repair, Inc.
Our goal is to not only provide training in the basics of backflow prevention assembly testing, but to bring you other training courses and seminars to enhance your knowledge within the backflow industry. 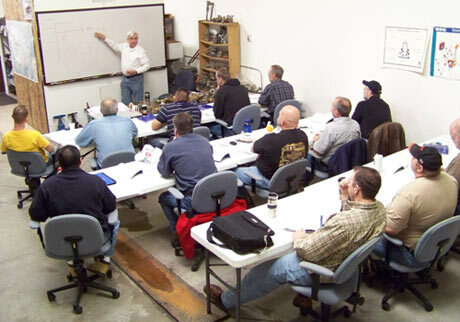 Our training courses prepare the student to take either a certification exam offered by the American Backflow Prevention Association (ABPA) or the American Society of Sanitary Engineering (ASSE). Each course has specific prerequisites; please confirm which course is right for you. 1. AMERIMID is a real “brick and mortar” school that can come to you if you desire. 2. Our school has a reputation for low student to teacher ratio for a more personal one on one experience. 3. Students attending AMERIMID have a higher passing rate than many other schools. 4. Students are treated with respect. We don’t tell the student to memorize test procedures; we teach them to understand the hydraulics. 5. Our PowerPoint presentations have taken us hundreds of hours to develop and are designed to lead the student through the learning process. 6. Our instructors not only have years of field experience, they are trained teachers that know how to present the information in a coherent manner. 7. 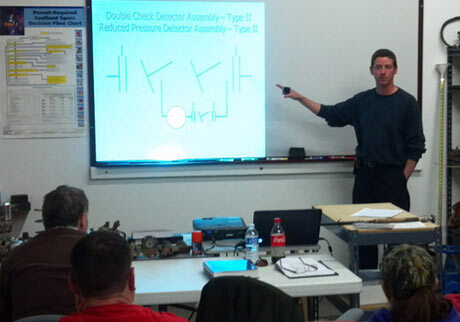 Our instructors are passionate about water quality through backflow prevention. 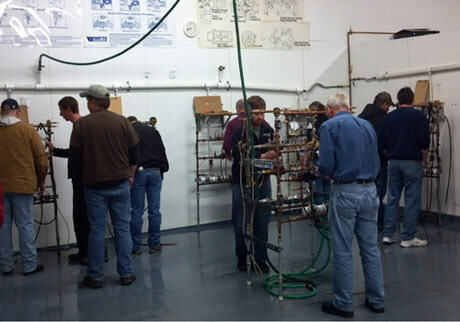 That passion is reflected in their teaching style emphasizing the importance of the backflow prevention assembly testers and their role in water quality.